OHSAS 18001 was the management system standard designed to minimize work-related injuries and casualties to make the workplace safer. ISO 45001 replaced OHSAS 18001 in March 2018 and should be implemented in all organizations regardless of their size or operational risk levels. The new system is the culmination of the effort of 70 countries. But why is OHSAS 18001 being changed to ISO 45001? And does ISO 45001 replace OHSAS 18001? Why is OHSAS 18001 being changed to ISO 45001? OHSAS 18001 attempts to cover all the potential risks involved in a workplace, however, despite that, 2.78 million deaths due to occupational accidents or work-related diseases are reported annually. Non-fatal work-related injuries and illnesses are reported at a staggering 374 million each year. The burden of poor occupational safety practices is estimated at 3.94% of the global GDP each year. What are the differences between OHSAS 18001 and ISO 45001? The concepts behind the two standards are similar, however, certain improvements have been made in ISO 45001 from OHSAS 18001. For example, response protocols for hazardous situations and risks remain largely the same, but measures have been taken to implement a proactive approach towards preventing risks and the indicators of the new system’s performance have also been enhanced. ISO 45001 is based on the Annex SL, which was designed by ISO to make it easier for organizations that comply with more than one management system standard. With ISO 45001, maintaining an organization’s safety is the responsibility of the organization’s top management. Instead of delegating this important task, the onus of competition and effectiveness is on management. ISO 45001 calls for increased involvement of employees with management to make the workplace safer. From mandatory training and awareness programs to share the results of internal audits and assessments, ISO 45001 ensures that everyone takes on the responsibility of ensuring workplace safety. In addition to the preventive tactics and hazard response mechanisms that are a part of OHSAS 18001, ISO 45001 will mandate periodical audits and safety analysis and risk evaluation of the organization to prevent health and safety hazards. ISO 45001 changes the criterion behind documenting information. Rather than mandatory documentation of all procedures, future documentation will only be required for risk control capacity to allow organizations to monitor and audit their current safety protocols and how to improve them. ISO 45001 requires organizations to conduct necessary checks to ensure that contractors and suppliers are also taking the appropriate steps to minimize risks. 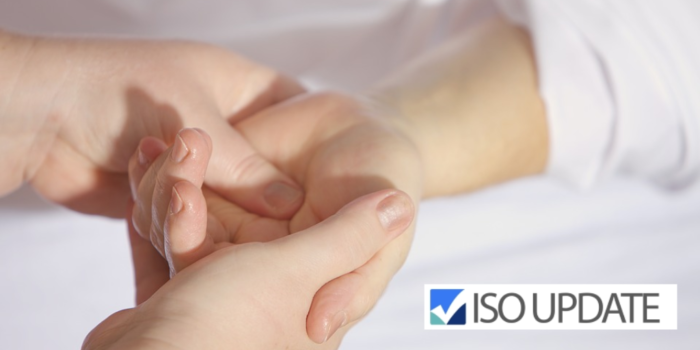 What are the benefits of switching to ISO 45001 from OHSAS 18001? ISO 45001 can help improve the level of occupational health and safety, thereby improving working conditions and optimizing productivity. ISO 45001 is based on the Annex SL framework, which allows organizations to easily integrate it with the other standards of ISO. ISO 45001 actively informs and educates all levels of employees about the risks involved in workplaces and uses a progressive approach to OH&S performance with frequent improvements. Implementing ISO 45001 will allow organizations to speed up response to any compliance issues, lower costs incurred due to accidents and thereby reduce the costs of insurance as risk levels reduce. ISO 45001 may also improve productivity due to streamlined operations and save your organization on manpower due to lowered employee turnover rates and improved employee attendance. Want to implement the new standard in your organization? Contact a Registrar to get a quote today.